We are proud to present the largest collection of SAC patches on the Internet. 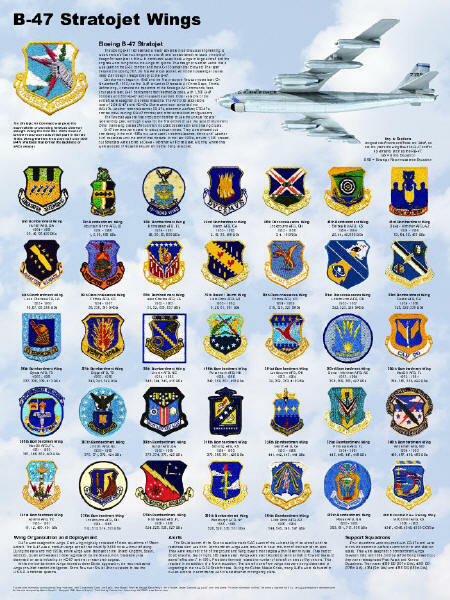 Our goal is eventually have a picture of every wing patch, plus many others of interest to veteran SAC Trained Killers. If you are new to collecting, then we recommend that you begin with the Intro. This site is so large that it is divided into sections. These are identified at the top of the page. The patches shown represent my own personal collection and I use this section to keep track of what I have and what I need. Some photos were contributed by others. I do not sell patches. If you are looking to obtain a patch, then click on the "obtaining patches" link above. Use Navigation Bar at top of page to access the sections. 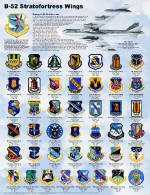 NEW - We have prepared posters showing the patches used by the wings that flew the above aircraft. 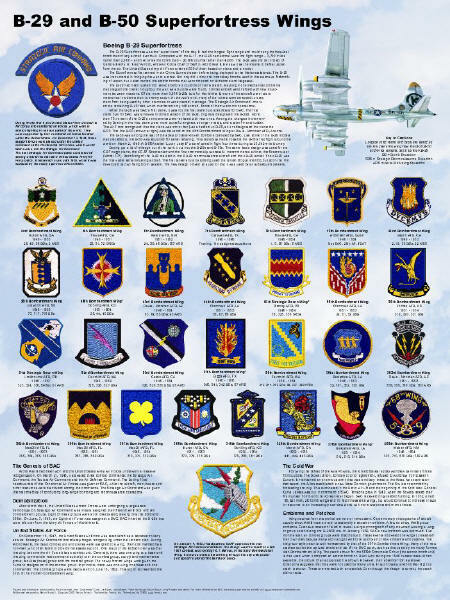 The patches shown on each posters are those used by the wings at the time they flew that particular aircraft. As many wings changed their patch design over the years, this a great tool for patch identification. All three posters are the same size and follow the same format, making them a patched set, which you will be proud to display in your home or office. Steve was kind enough to let me use some of his pictures. Thanks.